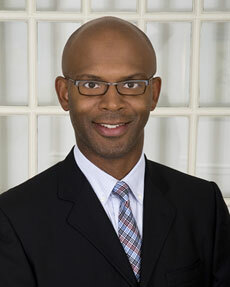 Rayvon Fouché will join Purdue as Director of the American Studies Program in January 2014. Prior to this appointment, he was an Associate Dean of the Graduate College, Associate Professor of History, Associate Professor in the Information Trust Institute, and a faculty affiliate of the Center for East Asian and Pacific Studies. He has authored or edited three books exploring the multiple intersections and relationships between cultural representation, racial identification, and technological design. Grants and awards from the Illinois Informatics Institute, Illinois Program for the Research in Humanities, Center for Advanced Study, National Endowment for the Humanities, National Science Foundation, and the Smithsonian Institution’s Lemelson Center for the Study of Invention and Innovation have supported his research and teaching.